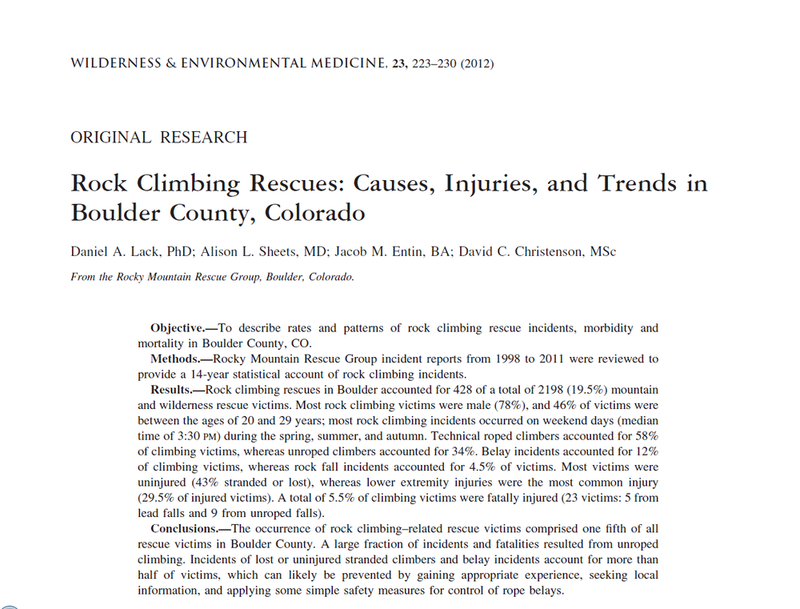 (2012) Rock Climbing Rescues in Boulder County, Colorado and Eldorado Canyon State Park, Colorado, 1998 – 2011. Playing for Real is our new book covering years of dramatic rescue stories in the mountains and canyons of Colorado and beyond. The book is available by mail order from RMRG at our contact address. Payment by check in advance: $12.00 per book, includes tax. $1.50 per book for shipping. Mountain Search & Rescue Techniques answers the question: "What does the individual need to know to be competent in mountain search and rescue operations?" The book is available by mail order from RMRG at our contact address. Payment by check in advance: $10.00 per book, includes taxes and shipping. $7.00 per book for orders of 5 or more, plus shipping.